I admit, I am easily amused. Every little joke that Yuye cracks can make me laugh uncontrollably even though it might not actually be funny. So the names that cafes and restaurants give themselves can often amuse me as well, like in this instance. I loved the play on words, although I’m not quite sure they are actually ‘pour’. 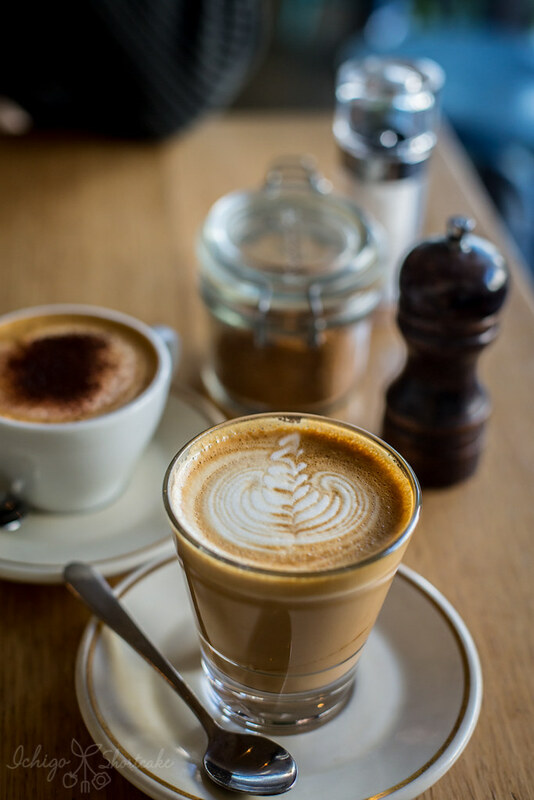 With their good ‘pouring’ skills, I’m sure money will be rolling in the door….okay I’m going to stop now. Sorry. 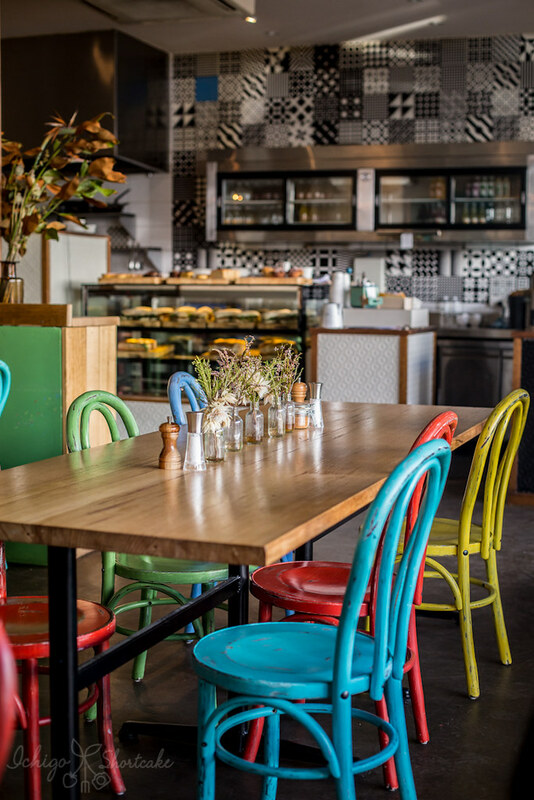 The splashes of bright colour in this cafe including the multi coloured chairs to the bright green walls was a good contrast to the industrial and monotone decor that’s trending in the cafe scene at the moment. 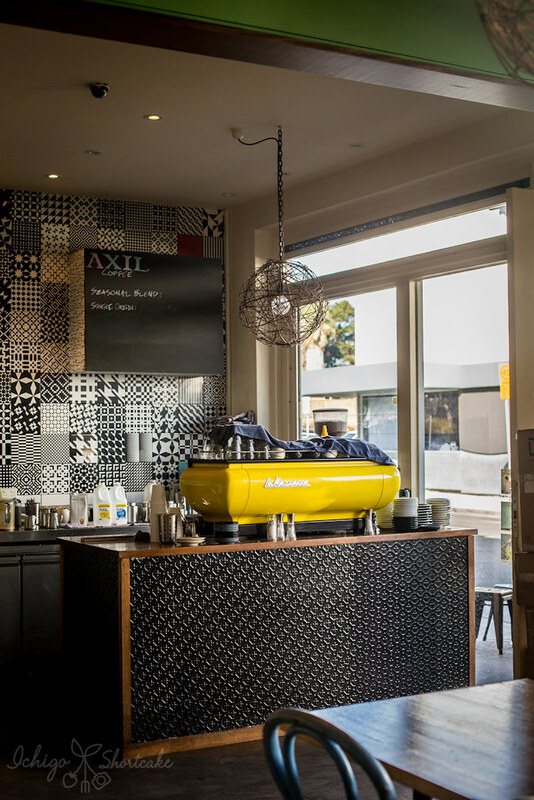 The bright yellow La Marzocco churned out beautifully aromatic and balanced coffees from Axil Coffee Roasters, although I was quietly disappointed that my cappuccino didn’t come with any art…not that it affected the taste or anything. The Stacks On! 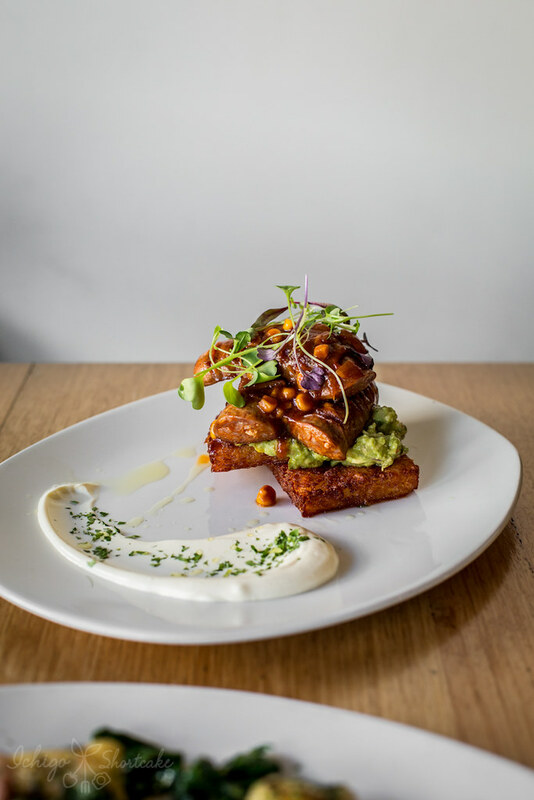 ($16.50) with stacks of grilled chorizo sausage, hash brown, guacamole, sour cream and roasted corn relish was a great choice. The chorizo was naturally quite salty and there was a substantial amount of it. The saltiness was balanced out by the sour cream which added another depth of flavour to the dish. The hash brown was crunchy and tasty and went very well with the rest of the dish. The guacamole, like the sour cream, balanced out the flavours and saltiness of the dish and the sweet corn relish brought the dish together. At the time of dining, there was no option to add a poached egg but now it can be added for $2.50. If I saw that on the menu, I might have been tempted to get one but I think it probably didn’t need the egg anyway. Yuye’s Duck For Cover ($16.50) with Italian style pork sausage, burnt butter gnocchi, fried egg and Swiss chard was another good dish. It was a little bit bland for me but Yuye liked it. The large pieces of gnocchi was chewy and a good proportion of potato to flour. 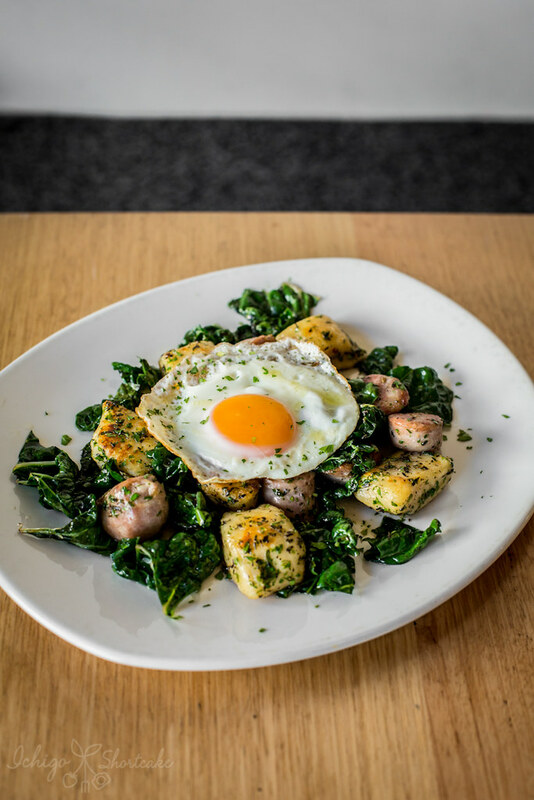 The Swiss chard made the dish healthier and well balanced. 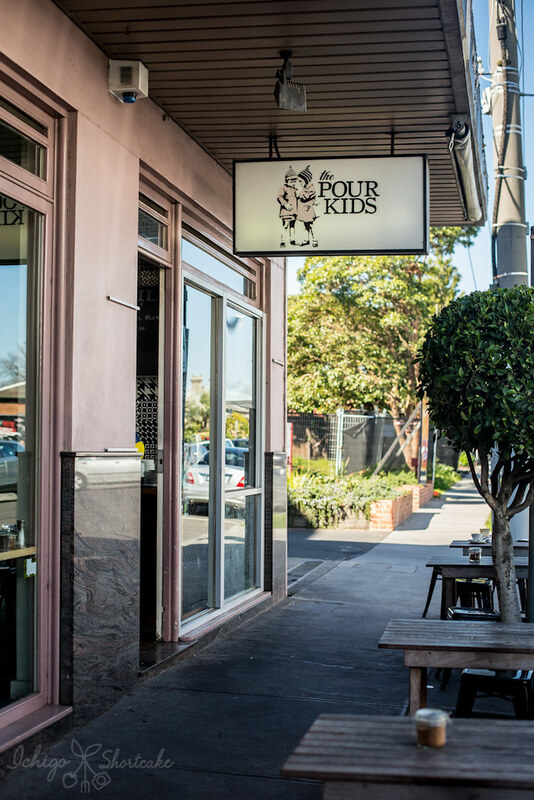 Overall we enjoyed the meal here and being reasonably priced as well, it’s a good choice if you’re after a good coffee coupled with good food in the Southern Suburbs. The dishes look very delicious, especially the Stacks On!